Search Engine Optimization or SEO as it’s more commonly known will allow people to rank high in the search engines and is an absolute necessity to obtain natural organic traffic. However, there’s a lot of misinformation out there about what works and what doesn’t work. Some people spend hundreds of dollars on different software to spam the internet and to create what are called link wheels to help them rank better in search engines. The most commonly targeted search engine is Google since it’s the most visited website on the internet. A link wheel is a rather complicated procedure but an actually very simple technique. When you build a link wheel you’re essentially building a long list of links that point to other links that point to even other links, which in turn point to your website. It’s a procedure of building link juice for other websites that ultimately point to yours. This can also be known as a link pyramid but it’s more commonly known as a link wheel. There is no specific way to do a link wheel effectively, there’s a lot of different factors and steps you can take to make sure you’re on the right track. While link wheels have been known to be very effective, there are a few things you need to avoid doing that many people think helps their website. Forum profiles are one common mistake a lot of people make and some people spend a lot of money on software to do this. There is software in particular called Xrumer that people spend hundreds of dollars and a small monthly fee on. The software has just one purpose and that’s to spam forums. What it does is spam forums and create fake profiles and forum posts. Since the Panda Penguin update, forum profiles hold very little weight because it’s been spammed to hell. Social networking profiles or Non Web 2.0 profiles are also another common myth that people believe will help skyrocket their search engine rankings. You couldn’t be more wrong when it comes to random profiles. While link wheels are still effective, blasting random profiles and networks with your link holds very little weight. 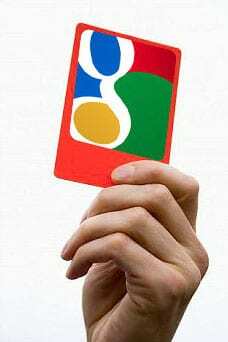 Google Penalty – RED CARD!!! Google’s algorithm can pick up tens of thousands of links with just one backlink from every single site and they know when you’re spamming to try to improve your rankings. So what’s the point of link wheels if Google knows when you’re spamming in an attempt to boost your search engine rankings? Link wheels still hold a lot of weight for search engine rankings if they’re done correctly. However, you shouldn’t be mistaken over what kind of website that link wheels will work the best for. A link wheel is not meant to increase your rankings for a term that gets over 100 million searches a month or anything crazy like that. Link wheels are more helpful to websites that are going for low-key keywords that are easy to dominate with methods like this. So if you’re looking to outrank other websites for a keyword that gets around 10,000 searches a month or even more in some occasions depending on the keyword, a link wheel will dominate your keyword. If you’re looking to dominate a high end keyword that has a lot of high end websites on the top, you’re going to need backlinks from top authority websites with a high page ranking. You can either pay for these or you can gradually build yourself up as an authority on a subject that will make these top sites want to link to you. So what’s your take on Link Wheel ? Stuart McHenry is the President of McKremie an Orange County SEO Company that also provides reputation management. How tricky is this link wheel Stuart, though you have explained it very well but I still doubt that I would be able to spend so much of my time in this . Thanks for explaining how a link wheel works. I did not know that link wheels are more beneficial to websites that are aiming on the low-key keywords. Thanks for sharing! Are link wheels legitimate sources of Traffic in the eyes of Google? Do they penalize for creating link wheels? Instead of focusing on building links for the search engines, spend time building links in places that target audience members actually visit. This will help generate traffic to your site. Here is one tip to make your link wheel more effective. While linking to your home page in your link wheel profile sites try to inter link other pages that you create for the targeted keywords i.e if you create a page in blogger then try to link your blogger posts in your next page (wordpress or any other platform) for the targeted keyword this will give you a good result for your keyword in SERP. Thanks for the great information on link wheels. I heard about how spammy forum profile are. You definitely sealed the nut on that one. This article is very useful. Thanks for posting. To be honest i have paid around 500$ for link wheel with Niche since 3 month ago, but until now i haven’t see any progress. My website still in page 67 in google and sadly the online seller doesn’t send me any report at all. Can i have any suggestion of which the effective “Link Wheel” online seller ? 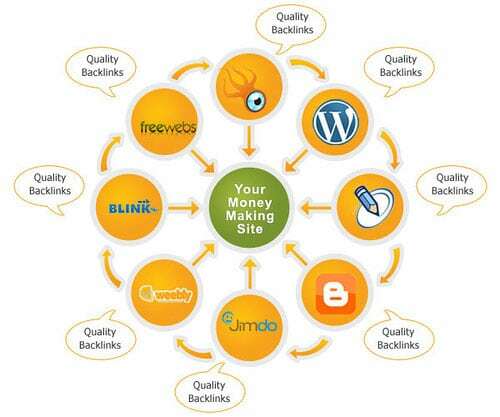 Reading this post I know about Linkwheel.Because I am a new freelancer on SEO.Thanks. For SEO link wheel is very important.But reading this one can get clear concept about this.Thankyou. Thanks for the helps, by the way, between a link wheel and link pyramid, which one would be better?